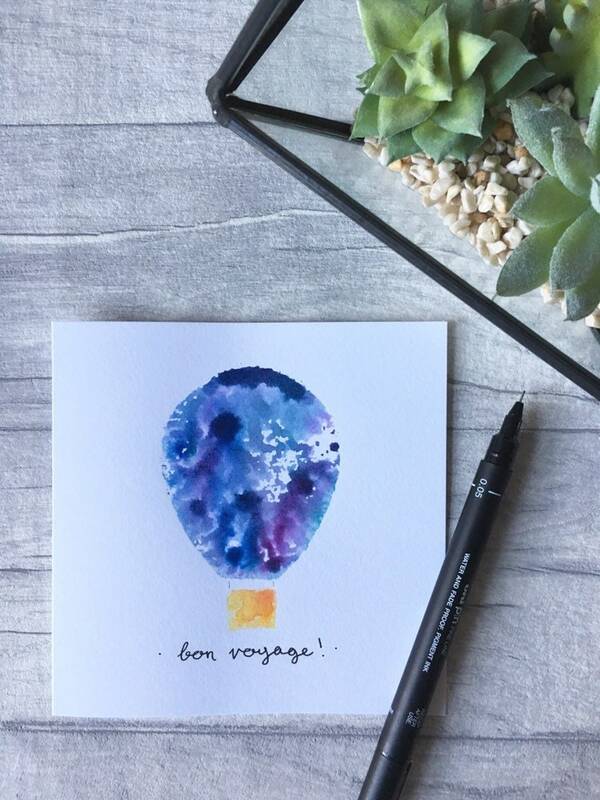 Good luck, bon voyage, have a wonderful adventure! 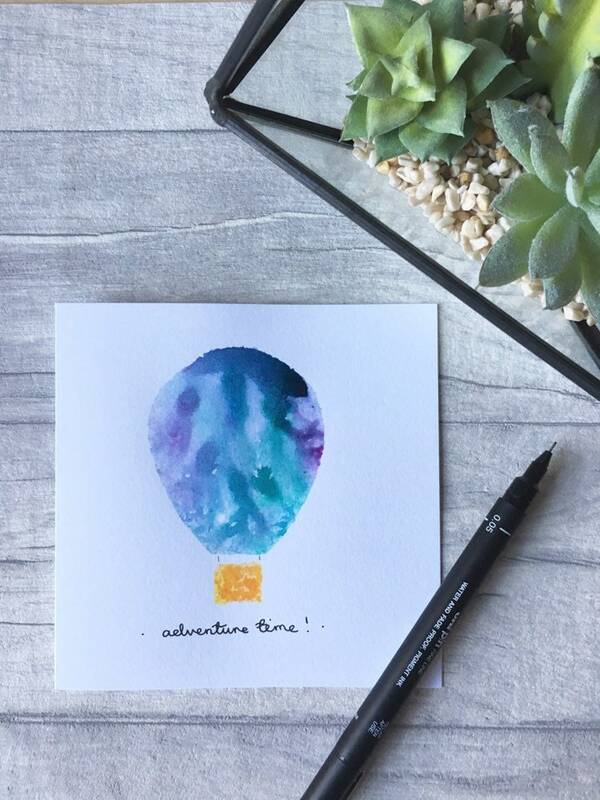 This lovely hot air balloon card has been printed using custom cut stamps. 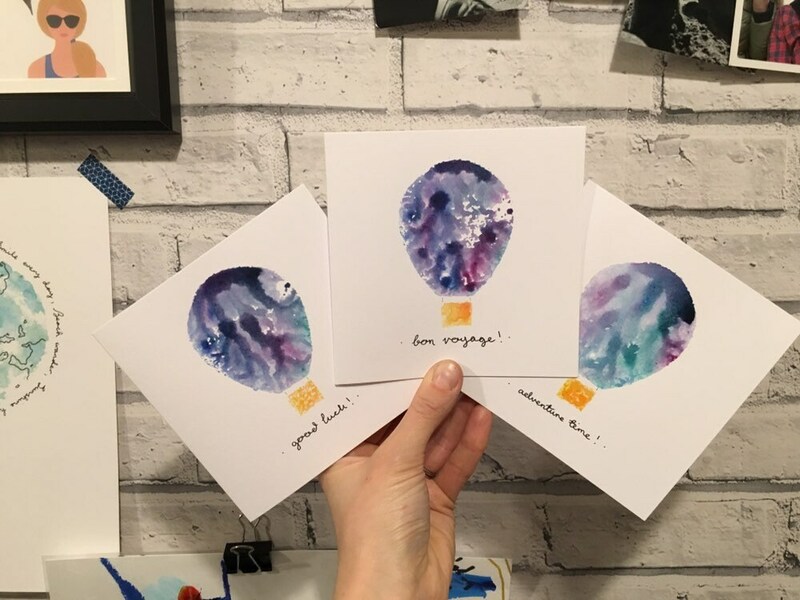 Each balloon card is completely unique as they are printed by hand! 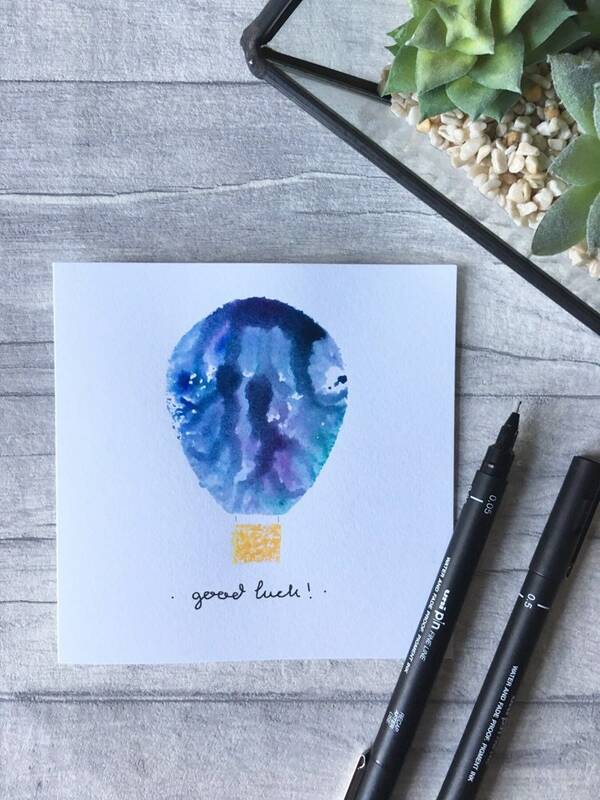 Simple hand lettering finishes off the beautiful card! 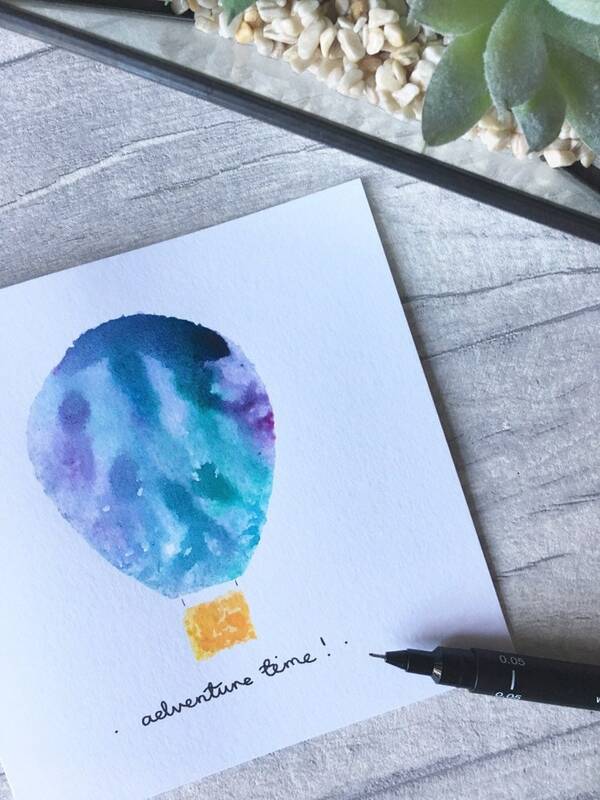 Choose from a selection of well wishing words or keep it minimal with the awesome colourful balloon! 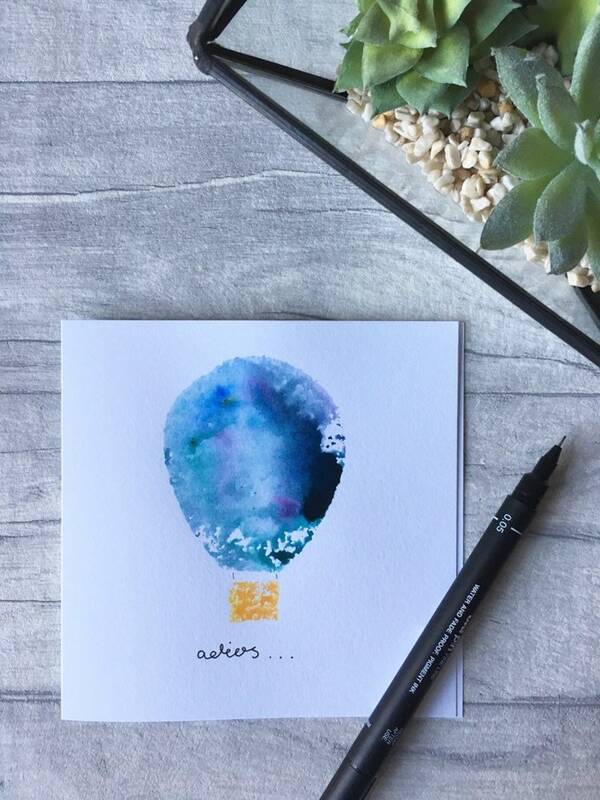 If there is something extra special you would like your card to say, select the personalised option and I will carefully hand write your message. 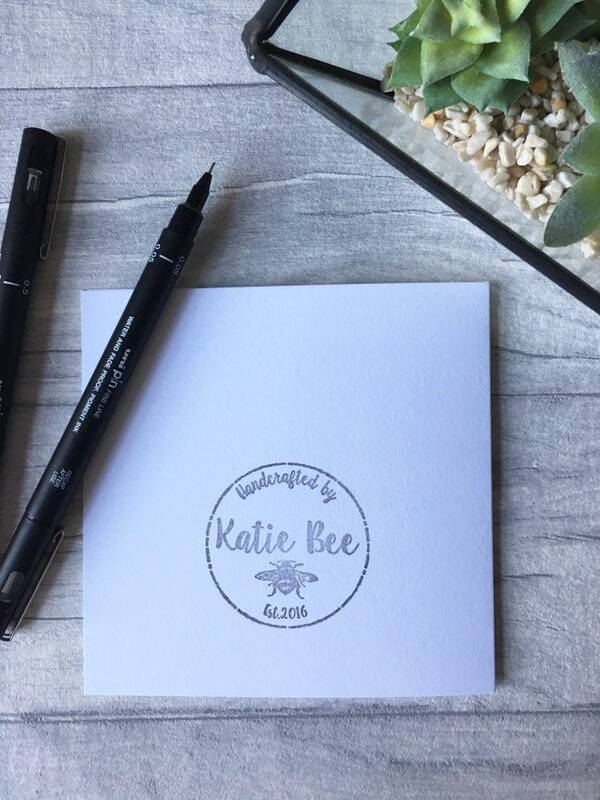 The white cards are 5” x 5” and 250gsm, with the Katie Bee logo stamped on the back. 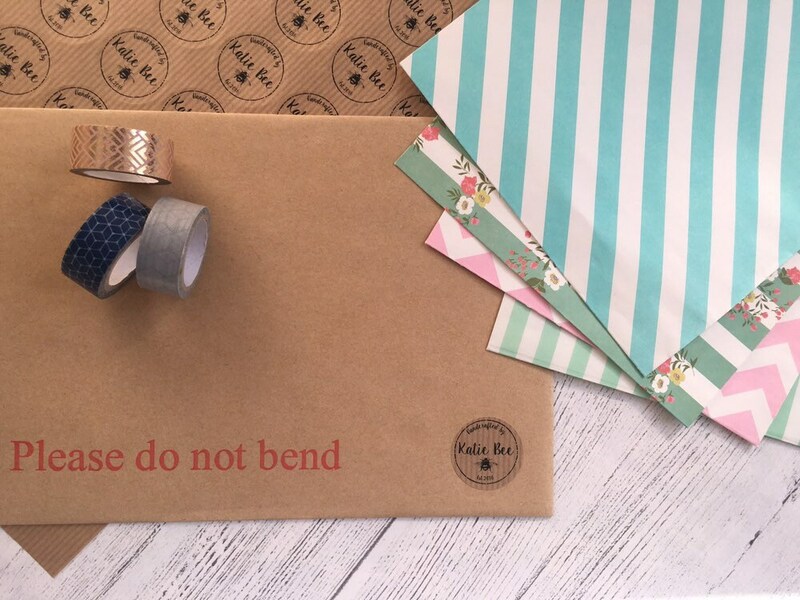 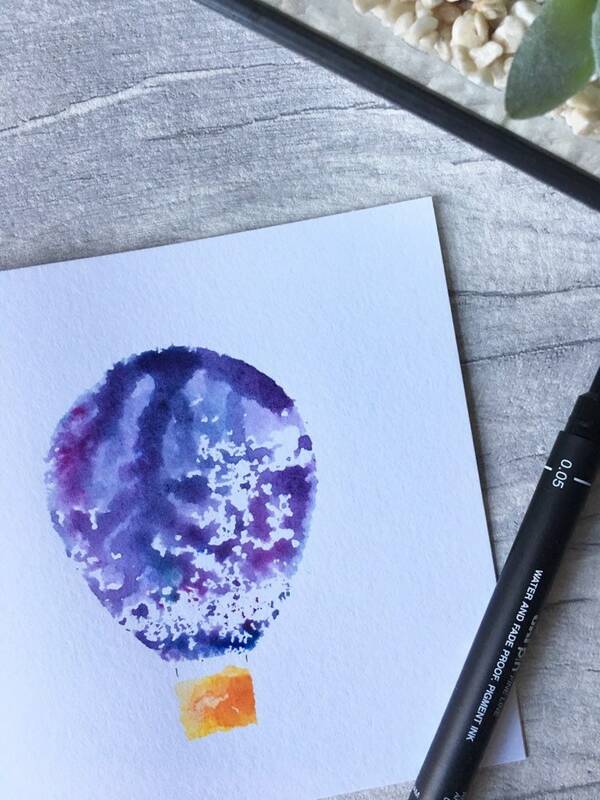 Each lovely hot air balloon card comes with its own white envelope, packaged safely inside a wee cellophane wrapper before being popped in a patterned paper bag. 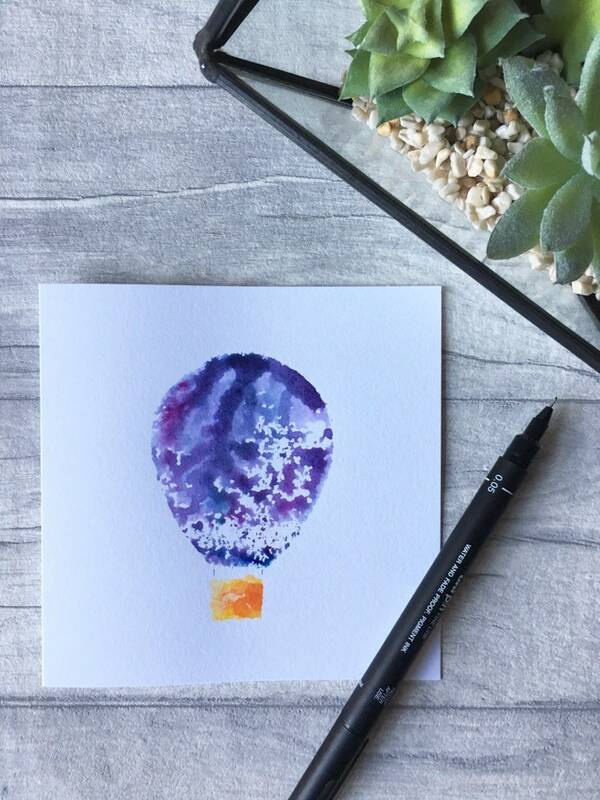 Welcome a new baby or wish someone well on a new adventure with this beautiful hot air balloon card!